Plans for an 800-room, $300 million downtown convention hotel continues to advance at a whirlwind pace. The full Kansas City council approved the basics of the deal Thursday, including a contribution of $13 million in city-owned land and $35 million in cash. Mayor Sly James said the hotel was part of his pre-election vision, but the plan is not about personal aggrandizement. “This was done because everybody on this council, I think, agrees that this was something we needed to get done,” he said. The council voted unanimously to keep the hotel on the fast track, sending related tax-abatement proposals to the TIF Commission for a review next month. A plan to require owners of large buildings to report energy consumption data slowed, however. It was put on hold for two weeks for more input from Northland business owners who said they were not sufficiently included in earlier discussions. 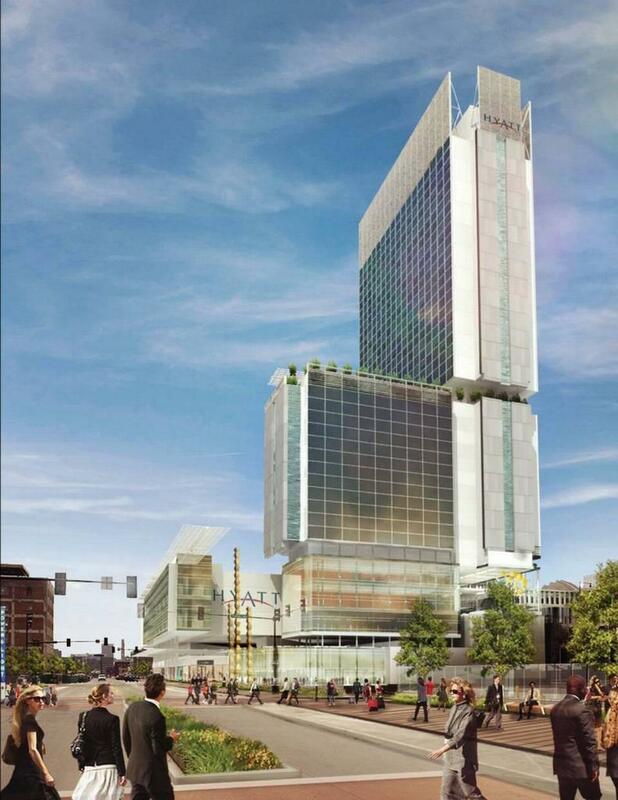 A Kansas City Council committee gave initial approval to a plan for a new downtown convention hotel Wednesday. The city's Planning, Zoning and Economic Development Committee approved an outline for a $300 million, 800-room Hyatt hotel. The plan puts the city on the hook for $35 million, which would come from the city's existing tourism funds that currently go to Kemper Arena.